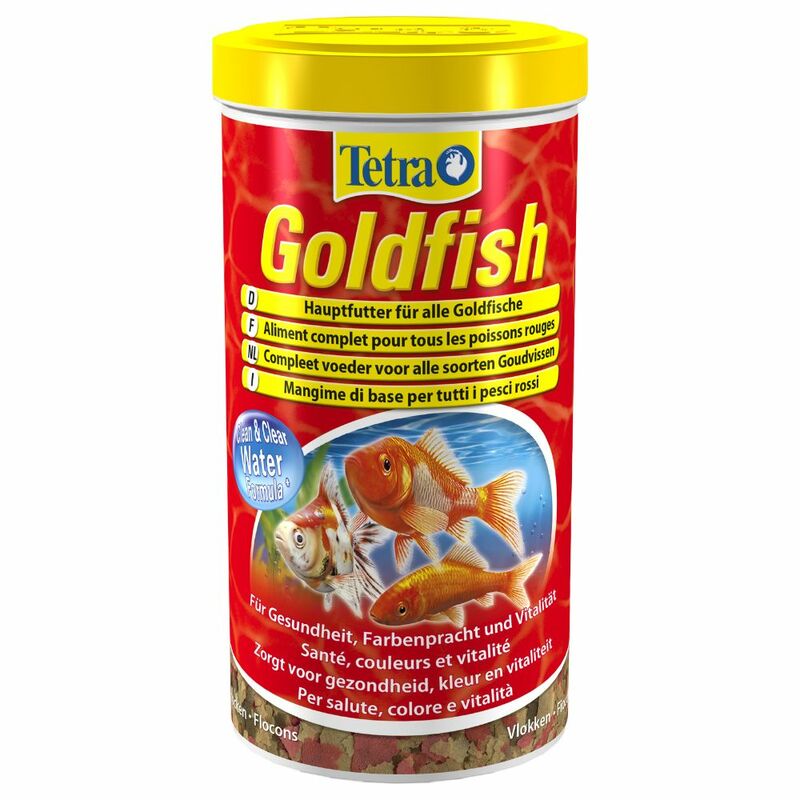 Tetra Goldfish Flakes are an ideal complete food for your goldfish and other cold water fish. Optimally designed to meet their dietary needs, it contains a balanced and nutritious composition that ensures your fish receive a varied diet. If you want to have healthy, vibrant and colourful fish then a balanced and varied diet is eΒential. Tetra Goldfish Flakes supply your fish with all the important trace elements and nutrients they need for a healthy life. The balanced composition of the BioActive formula mean that your fish will have more vitality and health, which is reflected in a more vibrant colouring. Tetra Goldfish Flakes helps reduce fish excrement keeping your water clean and clear for longer. The flakes also sink slowly, making them ideal for young goldfish to eat. Your tank will stay clear and your fish will be healthier because of it. Tetra Goldfish Flakes at a glance: Complete flake food for goldfish and cold water fish Contains all the important trace elements and nutrients ensuring a balanced and complete diet mit BioActive formula für for healthy, active and colourful fish High acceptance and reduced fish excretion for clean and clear water (Clean and Clear Water Formula) Easy dosage.